Chief Minister Devendra Fadnavis has apologised to the barber community after he made an analogy about the prefession to target the Congress-NCP government over incomplete projects. 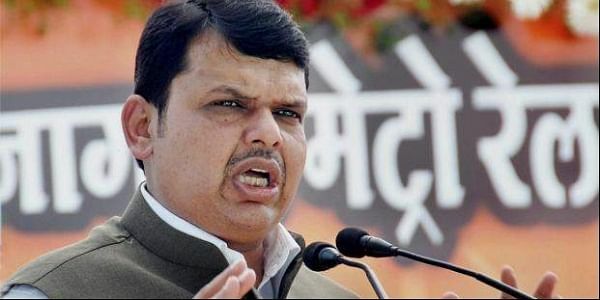 MUMBAI: Chief Minister Devendra Fadnavis has apologised to the barber community after he made an analogy about the profession to target the Congress-NCP government over incomplete projects. Fadnavis, while speaking at a programme near Pune on November 9, had said that during the previous Congress-NCP government, various irrigation schemes were left incomplete as money was not being provided for them. To highlight his point, he had said, "In the garb of schemes, the houses and vaults of contractors were being filled (with money). Just like a barber shaves half beard of one man and half portion of hair of another to prevent customers from leaving when there is a long waiting (queue). Similarly, these people (previous government) gave a little cream to everybody, that left the works incomplete." "Our government is doing the work of completing these pending schemes now. In another two years, we shall complete all of them and farmers will benefit," he had said. Following Fadnavis' comments, the barber community held protests at some places, including Osmanabad district, and put up posters showing him with half beard and with only half portion of head sporting hair. Facing backlash, Fadnavis yesterday wrote a letter to the association of barbers and apologised for his comments. "I only wanted to stress on how the previous government left projects incomplete and in doing so, I unintentionally gave an example. I did not mean to hurt the sentiments of anybody in doing so," Fadnavis said. "Yet, adverse reactions were brought to my notice. I wish to clarify that there was no intention of hurting anybody's sentiments. I express my apology to the barber community as their sentiments have been hurt," he said.